I think my favorite part of any board game is trying to get into the mind of my opponent. What are they trying to do? What information do they have that I don’t have? What do they think I’m going to do? All these questions and more go through my head in a matter of seconds between each turn of the game. Because asking these questions can lead to a never-ending spiral of the “I know that you know that I know that you know…” variety, it’s often nice if there aren’t too many moments during a game where this sort of thought is required. Which is why I both admire and avoid Poker. 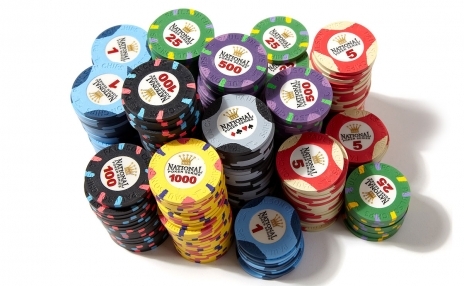 What is amazing about Texas Holdem Poker, at least, is that the players do absolutely nothing to affect who wins or loses a particular hand. If I told you we were going to play a game where we would each be dealt 2 cards and whichever of us has the best hand wins, you’d say no thanks, yet it’s this version of Poker that has swept the nation. In other words, once the dealer has finished dealing cards, one player has the winning hand and the other players have losing hands through absolutely no act of skill or intelligence. Just blind luck. But, of course, having the winning hand is no guarantee you will win the pot. A game of Poker actually takes place in the minds of the players as they analyze their opponents for any hints of what they are holding. This differentiates it from other forms of gambling, though it often gets lumped together with them. When you play Roulette you simply acknowledge that your fate lies entirely at the mercy of the wheel. A good Blackjack player can calculate odds and make smart bets and will make decisions that actually affect who wins and loses. Poker, though, seems to combine these elements. The cards are a fait accompli just like the Roulette wheel. Players have no control over the winning hand. But a good Poker player will win more often than a bad one because he or she can calculate odds well. In addition, though, a good Poker player can look into each opponent and know what cards he or she is holding and then use this information to maximize how much money he takes or minimize how much he loses. As I said, I deeply admire a game of such depth that can be built on top of such a simple foundation, but I also generally avoid playing Poker because there seems to be no end to how far down the rabbit hold my brain will go if I let it get started. Those world class players who can pick up the slightest tells in their opponents and then have the guts to wager all their chips on their ability to read others are both impressive and a little scary to sit across from.